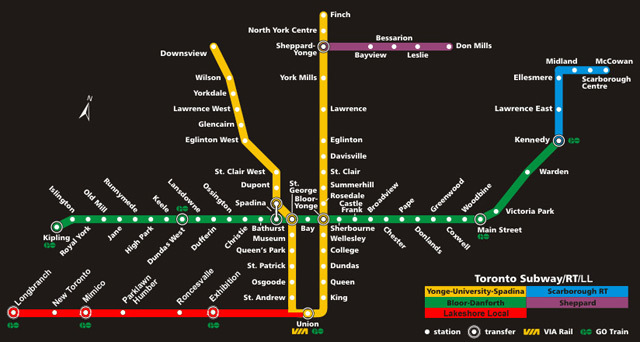 It got me thinking about Toronto and our interesting, but underwhelming public transit system. It’s a real problem that we are still clogging up our vehicular arteries with streetcars (see Queen St. during rush hour) and trying to compensate for it with patches to the existing system, or incrementalism, rather than simply doing it correctly the first time. What’s crazier though is we claim we do the incrementalism to save money, when in reality these subway designs and relief lines have been in planning since the early 1900s and if they were built when they were originally suggested, they would have cost less money overall than building the equivalent system today would have. Anyone who has driven in this city will easily agree that the road system, at best, has difficulties handling the traffic load at that time, and at worst is actually fundamentally dangerous. This has become particularly worse now that the city is starting to densify downtown, and the condos have introduced an entirely new group of drivers and pedestrians further amplifying the problem. Many people who live along the TTC simply take the subway, but as I have experienced (and no doubt many of you have experienced), riding the TTC between 4:30 and 6:30pm on a weekday is as futile as trying to keep a snowball whole in a 400 degree oven. 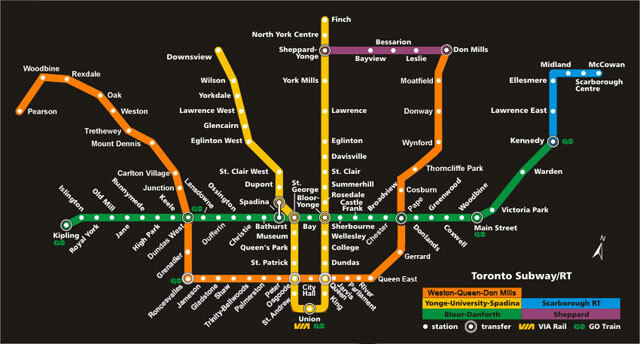 With either shoulder-to-shoulder discomfort on the streetcars, or a wait for the 3rd or 4th subway car before you can even get on the train at St. George or Bloor station interchanges. It’s not like I’m saying anything new though. There have been a huge number of suggested improvements to the current system. 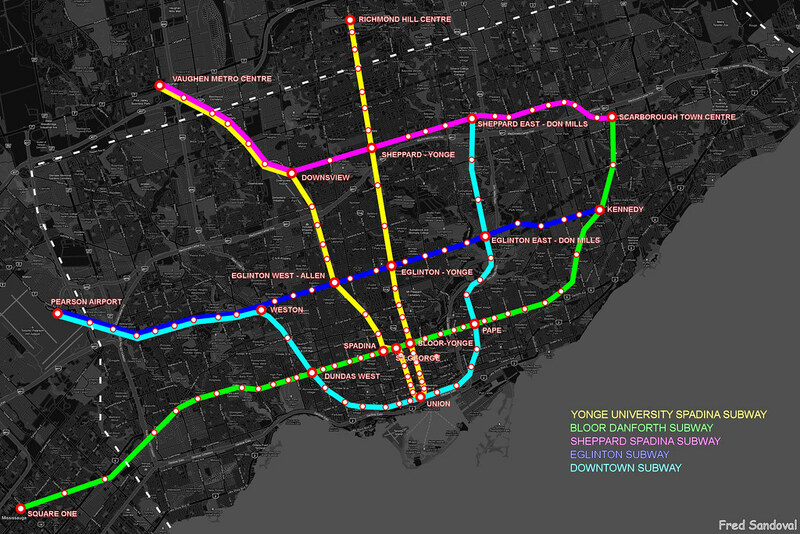 It’s not like there’s a lack of good ideas out there, and even taking a small portion of any of those maps and starting to build it now would immediately make life for ordinary people in Toronto (and surrounding area) better and more importantly safer. If we build it now, we will save money in the future, it’s that easy. 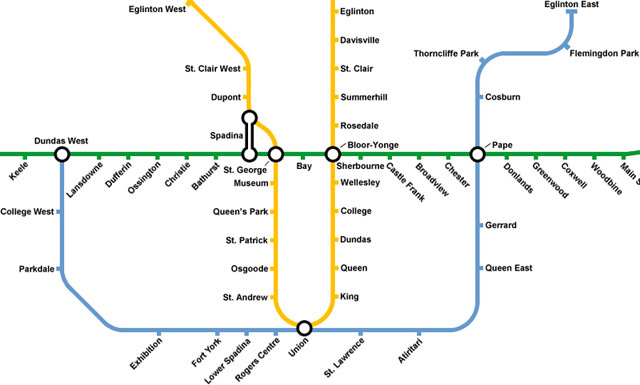 These subways need to be built as the city grows, and as anyone can easily see, Toronto isn’t going to start shrinking anytime soon. Our governments (municipal, provincial, and federal) won’t do anything about it unless Torontonians start demanding it now and demanding that we build it right the first time. A lasting, solid system that Canada can be proud of.